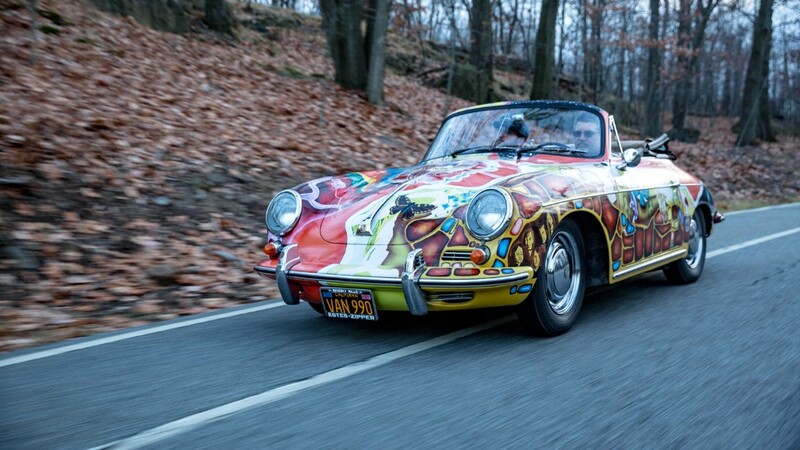 A 1964 Porsche 356 that once belonged to the rock singer Janis Joplin sold at auction Thursday night for $1.76 million. The car had been expected to sell for between $400,000 and $600,000. The sale price includes a 10% commission for the auction firm RM Sotheby's. Joplin bought the Porsche in 1968. 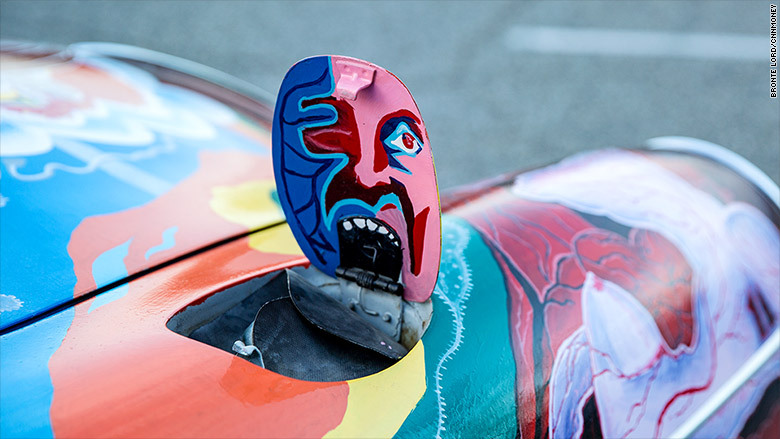 She had it painted, from bumper to bumper and door to door, in a mural: landscapes, birds, butterflies, floating eyes, mushrooms and skull-like faces. Celebrity ownership doesn't ordinarily add much value to a car. But the price of this one far exceeded what it would otherwise have fetched. 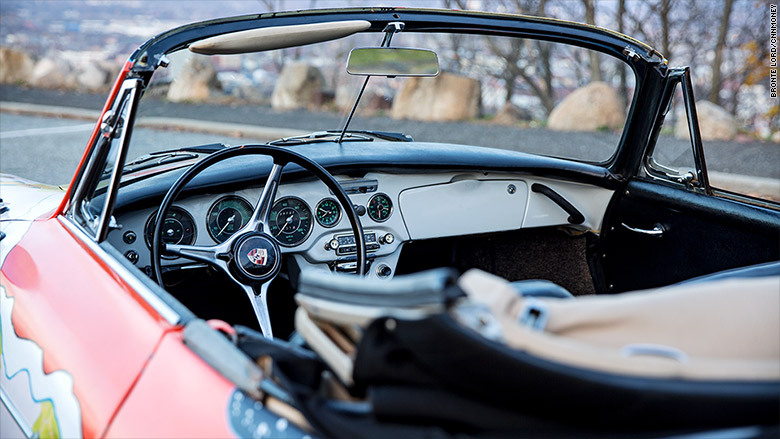 In fact, this was the highest price ever paid for any Porsche 356 at auction. Joplin's car beat those records because it was so closely identified with her. She drove it a lot. Fans would leave her notes tucked under the windshield wipers. On the day she died in 1970 at age 27, in a Hollywood hotel, people knew where to find her because the Porsche was parked in the garage. Ownership of the car went to her siblings, Michael and Laura Joplin, who shared it for about 30 years. After a while, the paint started to flake so they had it painted over in light gray. "We needed to save the car," said Michael. One part of the original work, a monstrous face on the underside of the fuel filler door, remained uncovered. Later on, they had other artists, working from original photographs, restore the original artwork. This time, though, they used paint that would last. Today, Joplin's 95-horsepower sports car remains in strong running condition. On a drive through a New Jersey park, it provided all the sounds and fun and direct feel of a great classic Porsche. In 1995, Michael and Laura Joplin loaned the Porsche to the Rock and Roll Hall of Fame and Museum in Cleveland. It has mostly remained there for the past 20 years. The Joplins plan to use the proceeds from the auction to support social programs in Janis's memory.